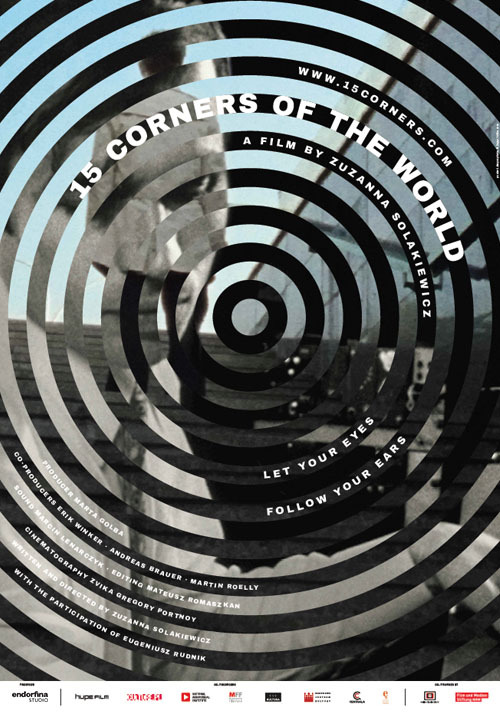 ‘15 Corners of the World’ is an attempt to hear the vision of his music. Following the rhythms of architecture, the human body, and the throbbing pulse of nature we discover a new reality. We touch the sound. Moving images reveal a miracle that emerged in the age of tape recorders and disappeared with the advent of computers. They express the wonder of the analogue era – the urge to experiment, to discover new territory, explore the borderlands, and constantly search for new means of expression.